Giving you a purely natural sensation, the Nike Free RN Motion Flyknit 2018 Men's Running Shoe provides the most uninhibited feel for your short training runs. 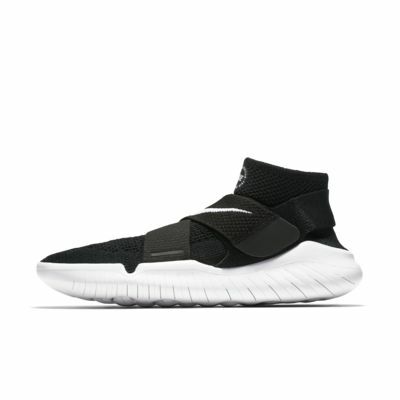 This latest edition eliminates the sockliner so the Flyknit wraps all the way around your foot, putting you directly on top of the Nike Free sole. As the sole expands and contracts with your every movement, you get even more of that natural feel you expect from the Free. Giving you a purely natural sensation, the Nike Free RN Motion Flyknit 2018 Men&apos;s Running Shoe provides the most uninhibited feel for your short training runs. 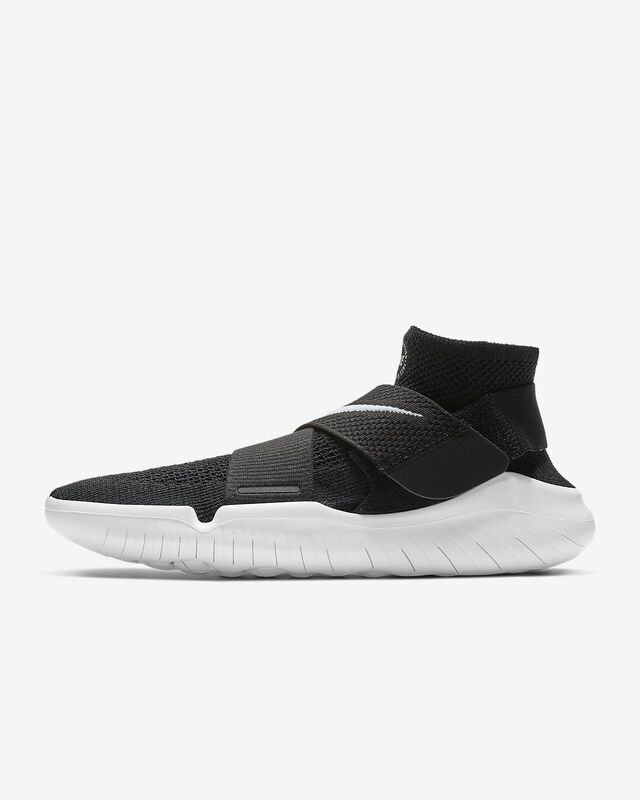 This latest edition eliminates the sockliner so the Flyknit wraps all the way around your foot, putting you directly on top of the Nike Free sole. As the sole expands and contracts with your every movement, you get even more of that natural feel you expect from the Free. The redesigned Flyknit construction is a one-piece sock sitting directly atop the soft yet supportive cushioning. The sockliner is left behind, allowing you to fully experience the incredible flexibility of the Nike Free sole underfoot. That dynamic sensation extends up through the foot-hugging Flyknit to the mid-height collar. It&apos;s a feeling of total freedom. A lace-free design leaves you one strap to quickly tighten or loosen the fit. A wide strap wraps your heel for added support and better structure. The soft, lightweight sole mimics your foot&apos;s natural movement through its innovative pattern. It expands and contracts with every landing and push-off. This provides a natural feel and a barefoot-like sensation, kind of like an extension of your foot. Your order of Rp300.000 or more gets free standard delivery. Orders are processed and delivered Monday-Friday (excluding public holidays). Almost what I was looking for! I wish this shoe came in like the "TIEM Spinning shoes". I love the whole strap idea and not having to tie my shoes, but not a fan of the flyknit material. Please make a shoe like the "Tiems". These are good looking casual shoes not for serious running or work out. I ordered 8.5men as usual but had to return and get 9.5men instead, which then fit my feet really well. Glide with some Flyknit Motion! I enjoy the low offset and flexibility of the shoe. Nice and lightweight. I have logged about 270 miles (including a marathon) on a pair, and they are holding up nicely. Lateral stability is lacking, but makes for a comfortable "snug" fit that flexes with your foot. Price is a bit high, but the quality of the flyknit and outsole are worth the comfort on any distance. Open flex grooves sometimes trap an acorn or stone, which is usually easily removed, but the design allows for splay and compression to allow the foot to move naturally. I absolutley love these shoes! The love that the Nike Free series has the lower offset and hope they continue to make them. Have been a fan since the Nike Free Hurrache, to the PERFECT running shoe Nike Free Flyknit 4.0, to now, these jewels. Would reccomend to anyone who likes a lower offset and runs short or long distances with little need for quick and/or aggressive turns.